The acclaimed Canadian animator is the inspiration for the installation, which allows people to record their own dance moves in an outdoor studio — and then watch it all projected on a big screen. A Canadian animator is the inspiration behind a new art installation at the ByWard Market that allows people to record their own dance moves in an outdoor studio — and then watch it all projected on a big screen. 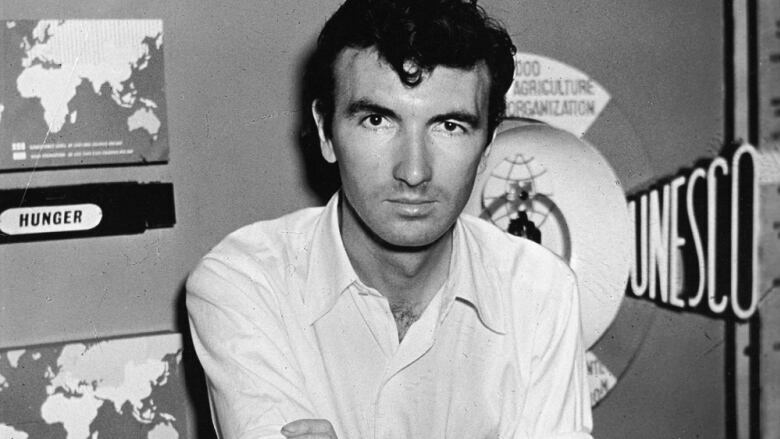 The Department of Canadian Heritage is celebrating animation pioneer Norman McLaren, who's renowned for innovative work that garnered an Academy Award in 1952 and inspired countless other Canadian animators and directors. "He was really good at explaining his work and creating tools, not only for him, but for other animators and directors to use," said Pierre Thirion, a director at interactive Montreal design studio Daily tous les jours. "He was inspiration across all different art and design disciplines," Thirion told CBC Radio's All In A Day. "He is seen ... as the person who pushed the boundaries of what is possible." The interactive project is called "McLarena" — a riff on the popular dance that came to prominence in the 1990s — and is inspired by McLaren and fellow animator Grant Munro's 1964 film Canon. It's located at the HBC Plaza on George Street, and is running nightly from 8:30 p.m. until 11 p.m. Here's how it works: a visitor enters the video recording studio — which is made from a shipping container — and while inside they watch a clip from the movie and try out some of the dance steps from the film. Their dance moves are then projected on the wall of a nearby plaza, next to others who've also tried out the project. "I think certainly what we have enjoyed seeing ... is the way people respond to watching themselves on the facade." said Yumi Webster, a project manager at Heritage Canada, told CBC Radio's All In A Day. 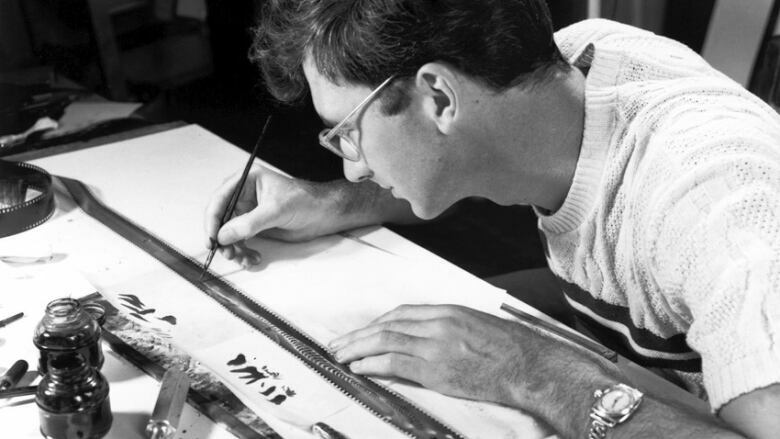 McLaren engaged in innovative techniques during his time, Thirion said, like painting and drawing directly on the film cell to create both images and sound. He also experimented with pixelation, using live actors to create stop-motion animation — and that's the main inspiration behind the ByWard Market art project. "This is something where people actually really get to be almost in the work of art and be part of creating something new — a new work of art that happens every evening," Webster said. The dance moves aren't preserved after being shown on the plaza facade, but Webster said they can be recorded using cell phones and cameras. The installation has previously been showcased in Montreal, Thirion added. "If you are just walking by, you can just sit on one of the benches and watch the movie," he said. "If you don't want to participate and be an actor in the film, you can just watch the film." The installation will be in place on George Street until Sept. 2. 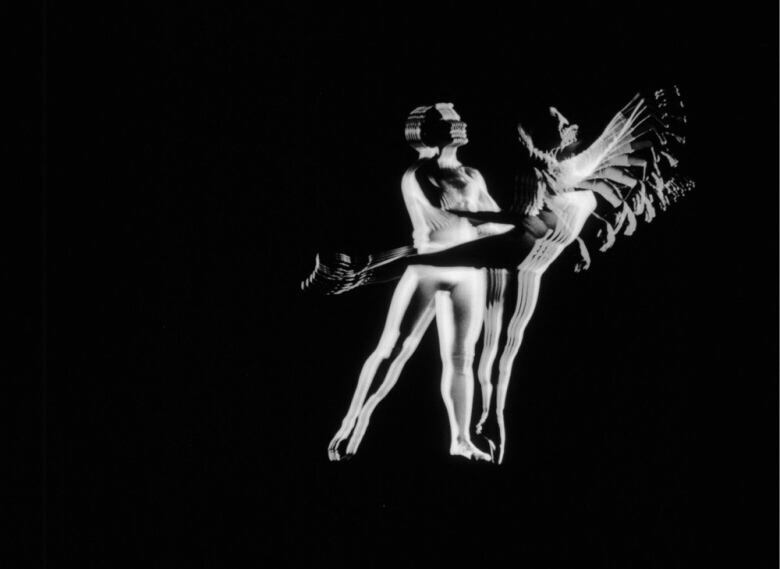 Tradition meets technology in the mesmerizing 'Frame by Frame.' Is this the future of ballet?